Allow our local mechanics to provide you with the best European car repairs. Unlike many of our competitors, we offer services that exceed expectations with offers like alignments, radiator repair, brake inspections and much more. If you own a BMW, Mercedes, Saab, Volkswagen, Volvo or Mini Cooper, seek our immediate help for the best car repairs available. Our experts at Euro Car Care Inc. are proud to offer residents with a great selection of auto repair services. When you find yourself in search of diagnostic services to help you in your time of need, choose our experts for fast results. Diagnostics for European cars can be difficult, trust that our knowledgeable and skilled associates will provide you with honest answers to your problems. When you find that your vehicle is in need of routine vehicle maintenance, rest assured we are the repair shop for the job. We offer car care services such as oil changes, air filter replacement, spark plugs, brake replacements, and so much more. Allow our mechanics to assist you with your European car maintenance, and prolong the life and condition of your vehicle for years to come. About Euro Car Care Inc. When you are in need of a dependable team to provide you with the best results on all of your car repairs, we are the team for the job. Euro Car Care Inc. is a leading provider of European vehicle repairs when you find that your vehicle is in need of an alignment, suspension repair or regular maintenance, choose our team for the best. With over 90 years of experience in the industry, we established our business in 1991. If you are the owner of a BMW, Volvo, Mercedes or another European car you can rest assured our mechanics will provide the best results. If you find your vehicle is in need of typical tune-up services, we obtain all the best tools and equipment to exceed your expectations. Many clients seek our auto repair shop because we are honest and trustworthy with your European imports. With our experience in the industry, we are proud to offer the best results for your vehicle repair needs. If you live in the San Antonio area, speak with us today and learn more about our incredible automotive repair services right away. 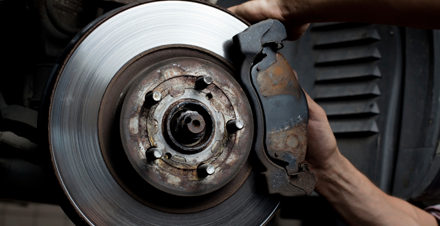 As the owner of a vehicle, maintaining the quality and condition of your vehicle's brakes is critical. With our fantastic team, we are proud to offer the best results on all of your brake inspections and repairs. Not only is it important to maintain the condition of your brakes for your safety but others on the road as well. With our routine brake inspections, we can uncover problems before accidents or financial burdens occur. Choose our team for the best European car brake repairs in the San Antonio area. Other services we offer include automotive suspension repairs. If you find that your European car is in need of an alignment or other suspension care services, trust that our experts will provide you with the best results. It is essential that a European vehicle has a finely tuned suspension, as it affects the way you drive, tire wear, and passenger safety. We stand behind 100% satisfaction and can provide you with new components such a springs and shocks. Call us today at (210) 265-6181 to learn more about our outstanding services, and schedule your next appointment right away. ©2018 Euro Car Care Inc.. All rights reserved.